This adorable mouse toy is sure to be a new best friend for little ones which they will treasure for ever! Beautifully made by DouDou et Compagnie, it's a lovely soft toy, made with real substance and sophistication. Attractive, exceptionally well made and unbelievably soft, this charming mouse toy is the perfect choice to welcome a little one into the world. This is a really gorgeous soft toy with a genuinely unique design that makes it really striking! With its amazing attention to detail, including the fabulous glitter detail, this special new friend is going to become a lifetime favourite. 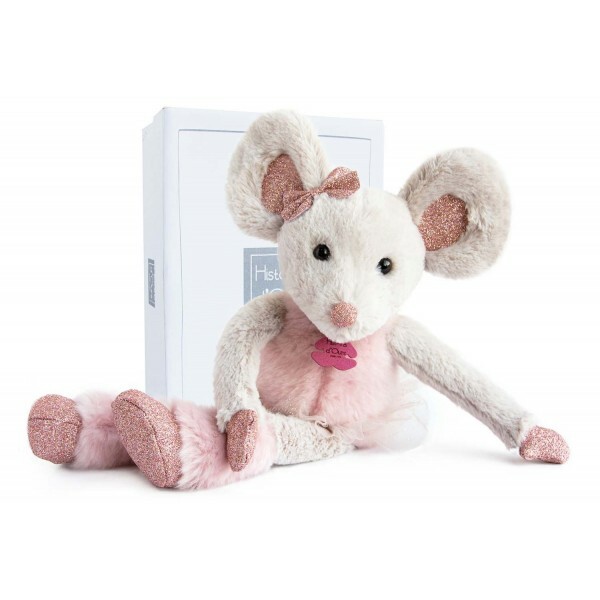 As with all DouDou et Compagnie toys, your mouse will arrive to you in a stylish gift box, making it an ideal gift that is high-impact, unique and very sweet.